The Gevangenpoort tells the thrilling tale of crime and punishment in days gone by. Since 1882, the mediaeval prison has operated as a museum. It lies on the Hofvijver, close to the Binnenhof in The Hague. The surrounding area is also rich in history. Join a city walk with our guides, take a look at the 18th-century Prince William V Gallery or visit the Historical Museum of The Hague, on the opposite side of the Hofvijver. In 2016 Lonely Planet included De Gevangenpoort (the Prison Gate Museum) in its book 50 Museums to blow your mind. 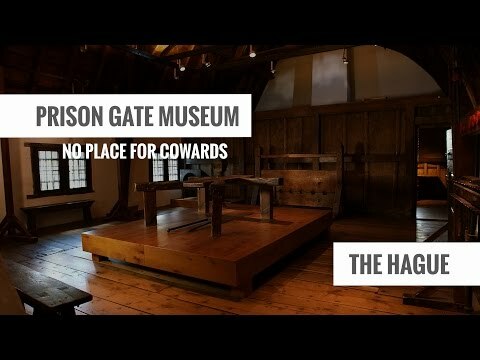 The famous travel guide placed the Hague museum alongside the Acropolis and the Forbidden City in Beijing because it shows the gruesome treatment once suffered by prisoners and how the law has changed over the course of time. The Prison Gate Museum is open on Boxing Day (12:00 - 17:00) and New Year's Eve (12:00 - 16:00).